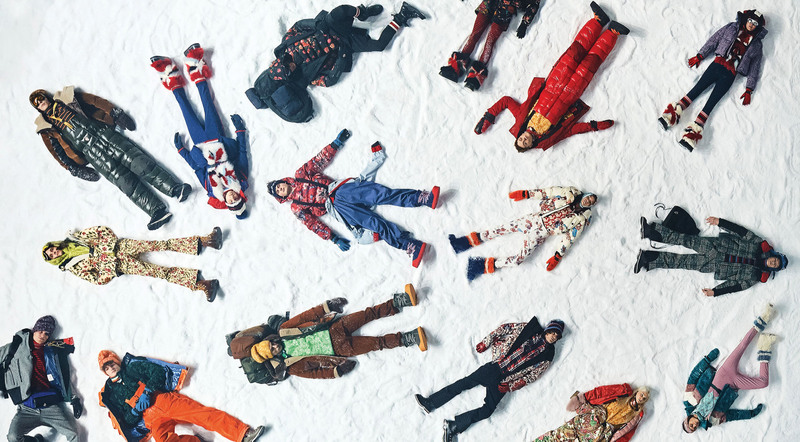 At 31 December 2018, Moncler had 4,155 employees, up 19% compared to 2017 (equal to 657 additional employees). This growth was driven mainly by the development of the sales network. The increase in staffing involved almost all the countries where the Company operates. In particular, the country that continued to show strongest growth was Japan, with 29% more staff than in 2017, followed by France and the United States with 27% and 23% more respectively. By geographical area, the majority of Moncler’s workforce is concentrated in EMEA Region, thanks also to the presence of the production site in Romania, which accounts for 63% of the workforce in the entire Region. By country, besides Romania (25%), most employees are concentrated in: Italy (22%) and Japan (13%), followed by China and the United States (8%). The professional category with the highest number of employees was that of white-collars, which also recorded a 19% increase compared to 2017. The category that grew the most was that of managers, as a direct consequence of the investment made by the Company in coordination figures, directly involved in the implementation of key activities and processes in the value chain. The majority of workforce continues to be concentrated in 31-40 age group, which grew by 19% compared to 2017, in line with the investment in middle management resources. The average age is 36.3 years. As regards length of service, the majority of employees (88% of the workforce) continue to be employed for 0-5 years, which directly reflects the strong growth registered in the workforce. The 6-10 years group shows the greatest increase compared to the previous year, with +24% confirming a significant consolidation and retention trend. Finally, most employees (71%) have a medium/high level of education (43% hold a university degree or equivalent, and 28% a high-school diploma). Moncler operates directly in over 70 countries worldwide through local offices, where senior management works in synergy with the Company’s offices to manage the respective areas of expertise. Company has always favoured the hiring of qualified local professionals, whose skills and knowledge of the specific markets enable a better understanding of country-specific competitive dynamics and cultures. organisational integration on a global scale, has led to the creation of significant value for Moncler. Over 100% of senior managers in the various Regions were hired locally, with no substantial difference in gender. A total of 83% of employees have a permanent employment contract, a significant increase (+27%) over the previous year, with about 93% of them working full-time. business and sales activities. In 2018, 169 temporary employment contracts became permanent, recording a 76% increase over 2017.
to business needs, involved 412 additional people. A total of 14% of these were internships, considered as an important channel for finding the company’s future talents (in 2018, in Italy, 38% of internships were transformed into contracts). In 2018, the Group hired about 2,100 people. This growth was mainly driven by the expansion of the network of Directly Operated Stores (DOS), the strengthening of corporate structures, and the creation of new organisational divisions. As far as age is concerned, 56% of new hires were under 30, confirming the Company’s ambition to invest in new generations. During the year, a total of 1,500 employees left the Company. important to mention that it was mainly due to the departure of retail personnel, a phenomenon to be expected given the competitive dynamics of the sector. 1 Employees are divided into five categories: workers, white-collars, professionals, managers, and executives/senior executives. Executives and senior executives include the first and second highest level decision-makers in a Company division or business unit; they contribute to the definition of both corporate and division strategy, and thus have a direct impact on their performance. Managers are responsible for the implementation of certain operating activities and processes, usually by managing a group of people. This category also includes senior managers responsible for implementing corporate or division strategy, through leadership and people management. Professionals have specialist skills and manage activities or parts of processes that are of significance to the organisation. They may be in charge of coordinating a team of technical experts. White-collars are tasked with specific operational responsibilities and/or duties assigned by a senior officer. Workers perform operational duties within the Company. 2 In 2018, 441 employees could not be mapped, as information on education level was not available. 3 The negative turnover was calculated by relating the number of permanent employees (1,312) who left the Company in 2018 with the total number of permanent employees (3,431) at 31 December 2017. 4 The figure refers to both temporary and permanent employees. 5 The figure includes 167 exiting temporary employees whose contract ended at 31 December 2017.